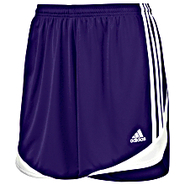 Adidas - Boys adidas Mesh Shorts - Preschool - Mercury Grey The simple yet effective style you need to look like a winner. Fabric: 100% polyester mesh. Mesh: 100% polyester tricot lining. Trim: 100% polyester dazzle stripes. Imported. 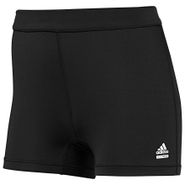 Adidas - Because soccer is a woman's game too the adidas Elebase Shorts are shaped specifically to fit women players. And the sweat-wicking CLIMALITE(r) fabric helps keep you dry and comfortable when you're playing as hard as the guys. 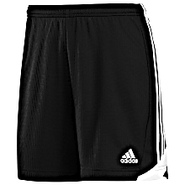 Adidas - You'll love wearing these sweet and simple shorts. Styled in comfortable knit the adidas Varsity Roll'em Shorts have a comfortable rollover elastic waistband with knit tape detail at the hem for an extra touch of sporty style. 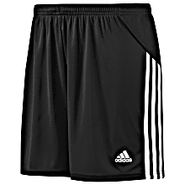 Adidas - Burst on to the soccer field with these high performing adidas Nova Shorts with a sporty look and feel and moisture wicking CLIMALITE(r) fabric to sweep away sweat. 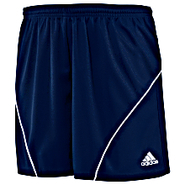 Adidas - It's a lot easier to sprint down the soccer field when you don't have sweat holding you back. 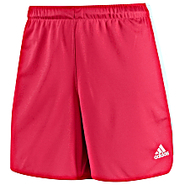 These adidas Sisco Shorts 2 sweep the sweat away with allover CLIMALITE(r) sweat protection. 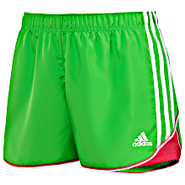 Adidas - Samba Tights Short tights designed especially for soccer players. The easy pull-on style is enhanced with ClimaLite(r) to help you stay cool and comfortable on the pitch. 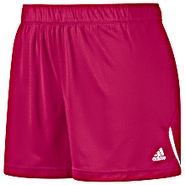 Adidas - Tiro 11 Shorts Styled just right for female players these adidas Tiro 11 soccer shorts feature a women's-specific fit CLIMACOOL(r) ventilation a lightweight polyester interlock build and a comfortable drawcord-adjustable elastic waist. 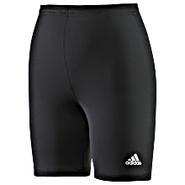 Adidas - Squadra II Shorts Shaped for the way you play these training shorts are made with soft ClimaLite(r) fabric to sweep sweat away from your skin as you sweep the ball down the pitch. 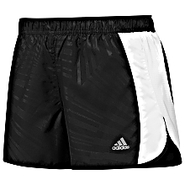 Adidas - These adidas Varsity Cheer Reversible Shorts help you crush the calories and tone your core. They are made from sweat-wicking CLIMALITE(r) so you can go longer without moisture dragging you down. 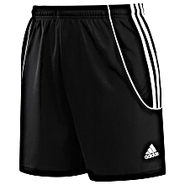 Adidas - Boys adidas Tech Snake Shorts - Preschool - Mercur Breathable comfortable shorts that keep up with the most active young athletes. 100% polyester. Imported. Plush - Fleece Lined Knee Highs in Black. Our signature fleece-lined tights are now offered as Knee Highs! Super soft and comfortable as always our Knee Highs are perfect to wear with shorts and skirts or under pants for extra warmth. 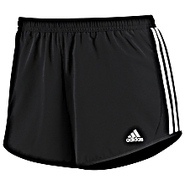 Adidas - Great for doing your movement sequences or toning your tummy at the gym these adidas Studio Sport Shorts feature CLIMALITE(r) that wicks away sweat. The soft sueded fabric is nice on the skin. Adidas - Sometimes having cute workout clothes can make the difference between the couch and the gym. These adidas Pace Print Shorts show off a fun embossed graphic and feature an internal mesh brief to keep you comfortable. 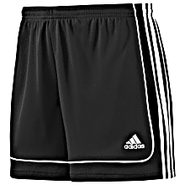 Adidas - A better pair of soccer shorts because they're made just for women. 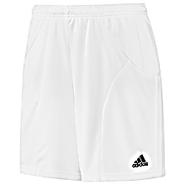 The adidas Equipo Shorts feature a comfortable anatomically shaped fit with the added benefit of a breathable allover CLIMACOOL(r) design.